← My God I’m Finger Painting at 51 Years Old! It’s that time of year when we start making our Bucket List list. What will be doing differently or better in 2014? What will our new goals be? How will we change our lives to make it a just a little bit better than 2013? 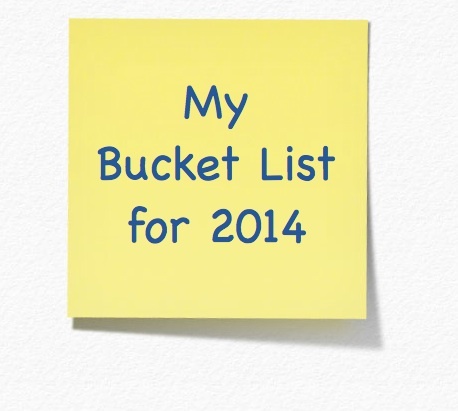 Did you even fulfill your 2013 Bucket List? Hopefully you did! I hope you make a list and stick to it. Don’t forget to add something to your list that you don’t think is reachable. Goals are not only reachable but are so fulfilling when we can cross them off our list. Good luck with your! Here’s mine. Staying healthy. That doesn’t necessarily mean I’m hitting the gym and eating carrot sticks till I drop 20 pounds but I’ll just looking to make healthier choices in 2014. Enjoy the Simple things in life. We are all so busy that before you know it, kids are grown, parents are old or passed friends are forgotten and you’re left withe a WTH moment. I already started doing this in 2013 and will continue to enjoy the small things in life because they are what makes life beautiful. From a purring cat on my lap to watching my kids enjoy their lives, I’m going to watch and feel every moment … and remember it. Art. Now this is very high on my list. As you can see, I am a very artful person. 2013 was my busiest year thus far and I lost myself a bit through the shuffle. My days off went to resting (which is fine) instead of creating. When I can’t or don’t find time for myself to paint my creativity doesn’t have a large enough outlet and that’s a really bad feeling. So, between the POEMS & STORIES monthly event I host for the Waxhaw Arts Council, and my allowing artful time for myself, I WILL be painting a ton more on 2014. I also opened an ETSY shop and will be selling my art which sounds super fun to me! Friends. In a nutshell, out with the old and in with the new. People change, I know that. People are in our lives for a reason. Once that reason is fulfilled, they need or should move on. Not hanging onto friendships that are empty, stagnant, depressing or unfulfilling. I’ve been blessed with a really great bunch a new friends this year and I believe that God has really hand-picked them just for me. Some of these people I just met 3 months ago but feel like they’ve been in my life forever. It’s weird but it’s good. Negativity. You’re out baby! I have zero tolerance for bull crap and negativity. I don’t care who you are or what you do (and I’ve met some big names this year) if you’re are a lost soul because you follow others to get where you are or your mind is just going toward negativity or greed, keep walking. I don’t need you in my life when I worked so hard to make my life … pretty damn good! I am a leader not a follower and I’m ok with that. Work. I’m always refining and defining my business plan – you have to in order to make it successful. As a matter of fact that was on my list for last year and it will be on my list for 2014. My long time goal is to be 100% virtual (already at about 60% there) by 2018 and it’s very reachable. It’s not that I don’t want to work after 2018 I’m just going to work smarter. Virtual color consultations are the way to go … ok yea, plus I want to be able to enjoy traveling and the things I’ve saved for my entire life. Life isn’t always about work. Time managment. I also need to watch my time spent on social media and in front of the computer. As fun and awesome as it it, way too much time was spent on G+ communities that were going no where – do I really need to be in 50 communities? NO! I narrowed it down to around 8 and they are the ones I want to be in and can do so a little everyday. Every key I type will be keyword strong and a powerful one. This goes back to working smarter. Will I miss chatting about coffee and bacon on the twitter stream in the morning? 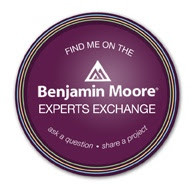 Sure but I think my peeps will know I’m there even it they don’t see my colorful spats as much. Time management should probably be #1 on this list. Focus will be very strong and it may come across as absence, but if you’re smart, you’ll realize it’s time management and not unsocialiness. Well there it is! It’s not a long list but a strong list and I’m sticking to it. I ready have it in motion and it feels good! Happy, healthy new year to you all and thank you so very much for being part of Decorating by Donna, it’s about to get better! Heart you all! This entry was posted in Color and tagged 2014, bucket list, business plans, friends, goals, life, new year. Bookmark the permalink. Great set of goals Donna! Thank you so much Cari! I’d also like to thank you for all the kind comments you’ve been leaving on my blog. I hope you find my color writings interesting! Happy and healthy new year to you too! Excellent goals to strive for Donna….wishing you continued success throughout 2014!!! Thanks so much Marilyn – you too!